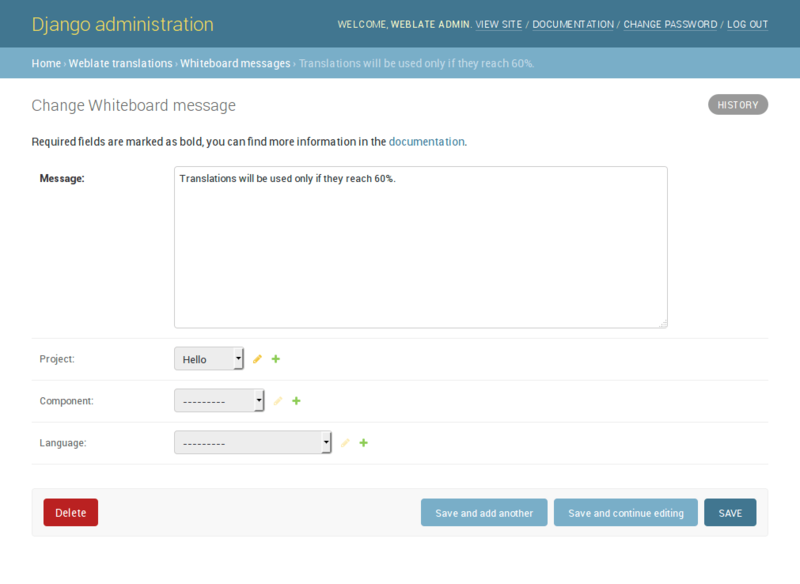 You can use whiteboard messages to give some information to your translators. 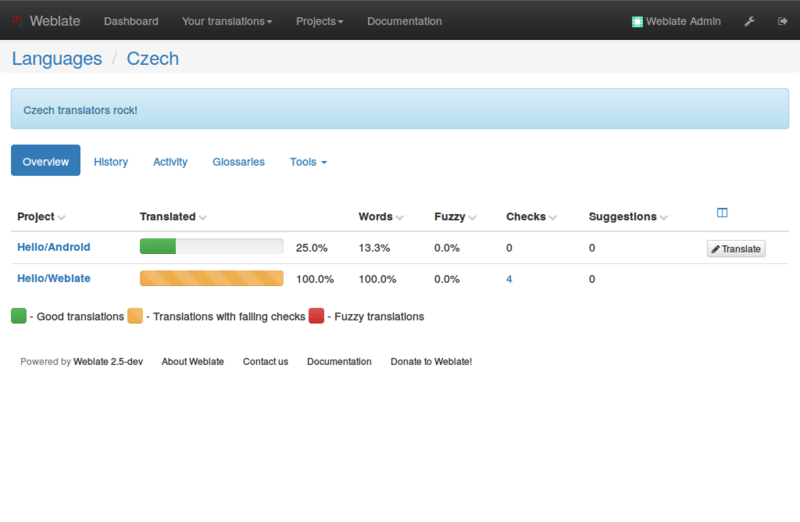 The message can be site-wide or targeted on translation component or language. This can be useful for various things from announcing purpose of the website to specifying targets for translations.